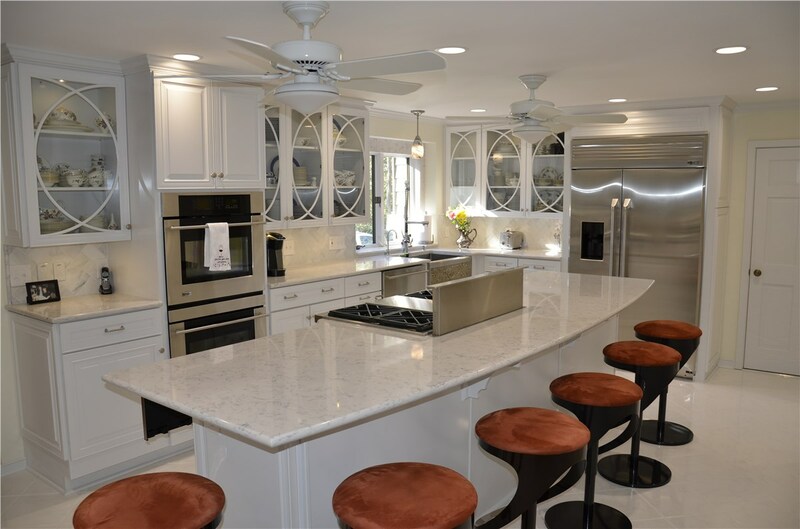 A kitchen remodel from the kitchen remodeling company Classic Construction will provide you with a gorgeous facility you’ll enjoy cooking in. 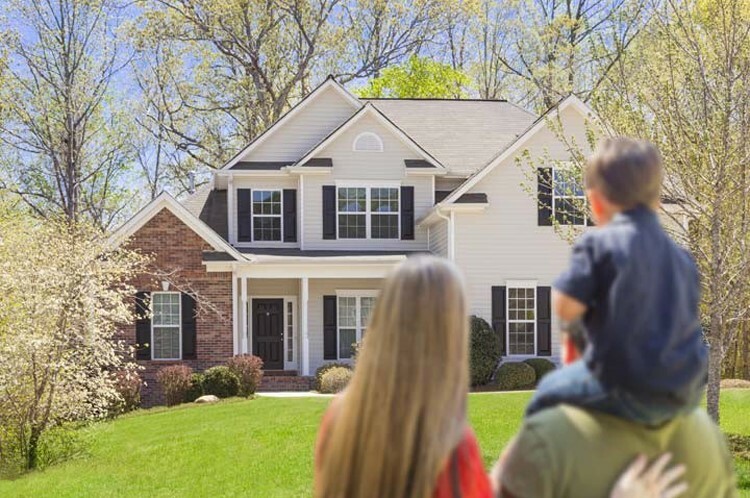 Using our years of expertise in home remodeling, we’ll carefully design and efficiently construct your new kitchen using the best materials on the market. From beautiful wood cabinets to high-quality granite countertops, we’ll transform your space and give you a kitchen remodel suitable for a professional chef. Do you have a specific vision in mind? We’ll help you bring it to life! 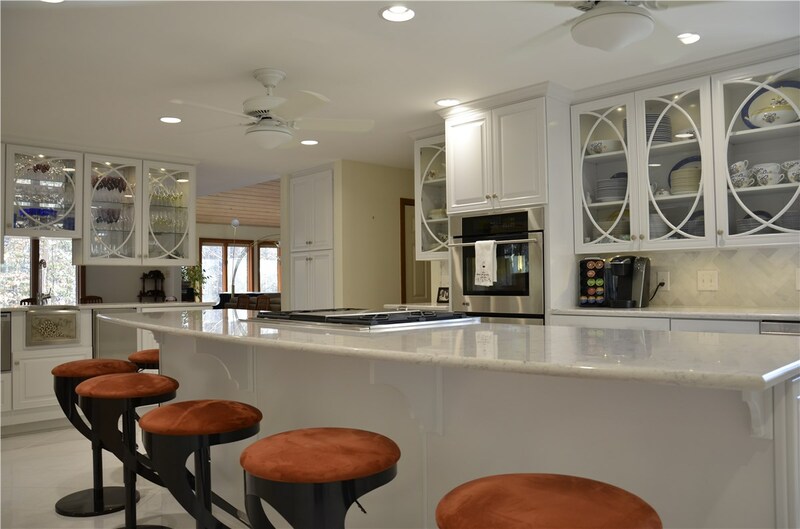 Our expert kitchen remodelers know how to combine your aesthetic style with functional requirements of your household to develop a custom kitchen renovation design that is sure to please. 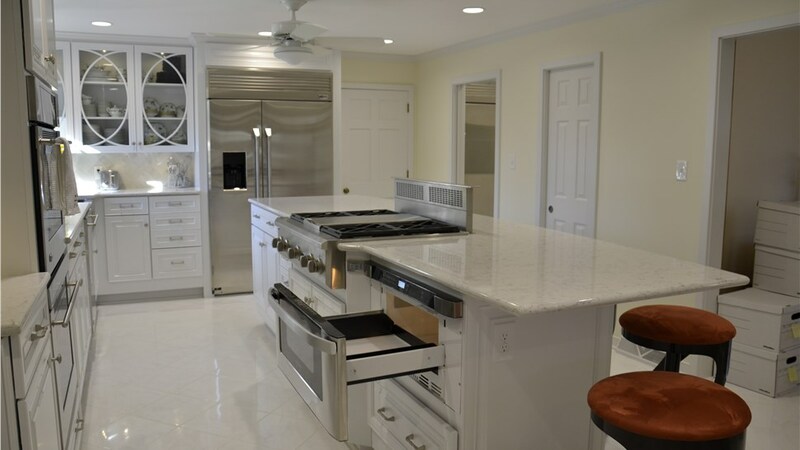 We offer every kitchen renovation imaginable - from a cosmetic kitchen remodel to a completely new kitchen layout design that reconfigures your space. We can even add a larger kitchen to your home with a kitchen extension! Whatever you need to ensure your kitchen turns out exactly how you envisioned, we’ll gladly create it for you. 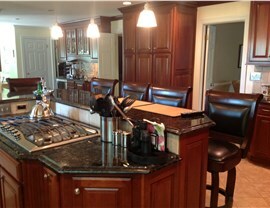 Kitchen Cabinetry: We can install both wooden and laminate cabinets in your kitchen. 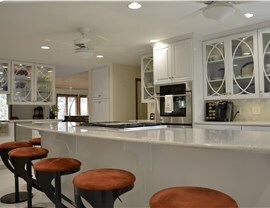 Kitchen Flooring: Whether you want hardwood flooring or tile, we can lay it down for you. 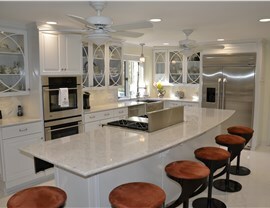 Kitchen Countertops: From granite to marble, we have a variety of luxurious materials to build your countertops with. And More: For cosmetic updates or a complete gut job, we can redesign and rebuild every facet of your home’s new kitchen. 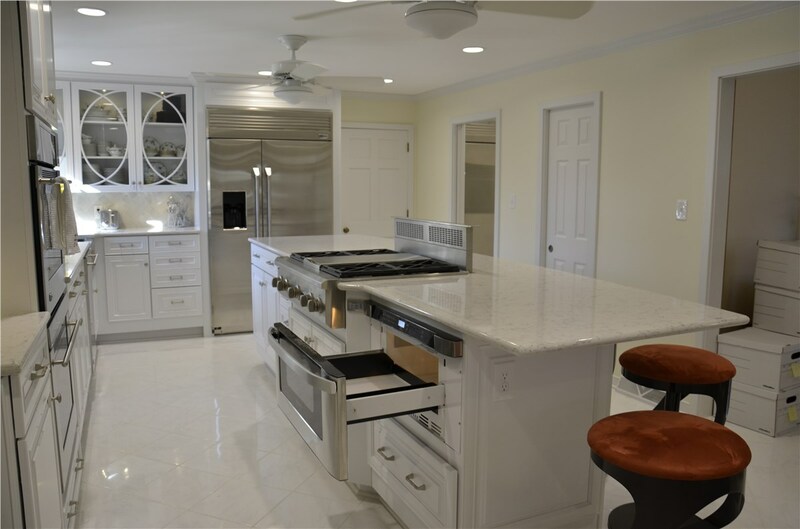 Our Richmond kitchen remodelers will go above and beyond to ensure your experience and finished product are nothing short of spectacular. They’ll work with you every step of the way, alerting you of important updates and doing their best to not disrupt your daily routine. Using CAD software, they’ll draft a 3D blueprint of your new kitchen, allowing them to work fast and efficiently complete it. 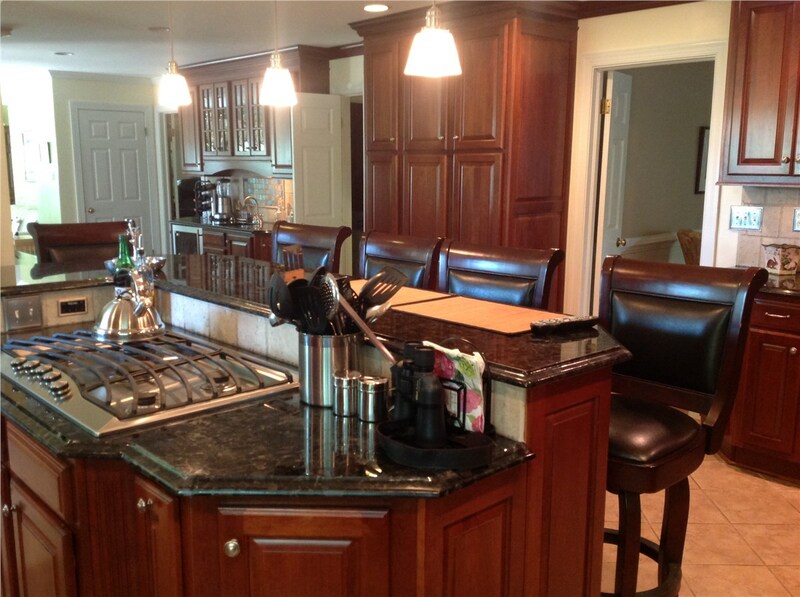 For more information on our Richmond kitchen remodeling company’s renovation services, contact us today. One of our helpful representatives would love to explain the benefits our services will bring you. Give us a call or fill out our online form to schedule a design consultation and receive your free quote today!